Resilience is the ability to bounce back when faced with challenges. This is an important skill that parents can help kids to develop. This evening we will talk about six essential skills for resilience; emotional regulation, optimism, self-efficacy, asking for help, making friends, and coping with stress. By helping kids develop resilience we encourage them to believe in themselves and that they are capable of dealing with challenges. Parents will leave with activities, ideas, and conversation starters to help them build more resilient kids. Vaping has taken society by storm. What began as a harm reduction and smoking cessation idea, has developed an entire culture around it. Is the steady increase in youth use of e-cigarettes a cause for concern or is it all just harmless vapour? This session is for adults and youth. What's Happening at Clover Bar Jr. High? Check back here each month to see what is on the go at Clover Bar Jr. High. There is always something exciting happening! This workshop gives a new perspective on relationships and adolescent development. Parents and caregivers meet in small groups with two trained leaders for 90 minutes each week. Each week, facilitators share practical techniques and ideas that help parents develop a better relationship with their teenager. Parents will be equipped with skills such as empathy building, reframing behaviour, conflict management, and learning how to “step back.” Through “stepping back”, parents are able to “step into” a new way of learning. The safe sharing environment enables parents to learn practical skills, while also hearing concerns from other parents. The Connect Parent leaders strive to help the participants feel at ease by providing a safe and connected environment to share parenting struggles and successes. Past participants have shared how Connect Parent has helped them feel a lot more at ease with their own family, knowing they are not alone with their new-found supports of other parents. Connect Parent is provided free of charge by Strathcona County Family and Community Services. The nine-week program takes place on Thursdays from 6 p.m. – 7:30 p.m. at Millenium place from May 2nd until June 25th. A light supper is provided for registered parents/caregivers. This program will continue throughout the term. If you are interested in extra help by taking advantage of this program, please see Mrs. Ackerman in the library. 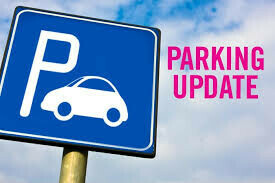 The spring will see changes to parking at Cloverbar Jr. High. Changes to include Bus Only Parking in front of the school, and on street only drop-off for students. Stay tuned for more updates. 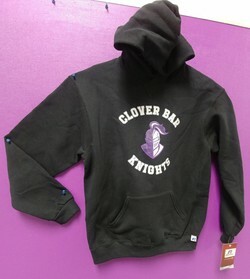 Knights wear clothing is now available for purchase using your Power School Portal under "student fees." Please follow the link below.